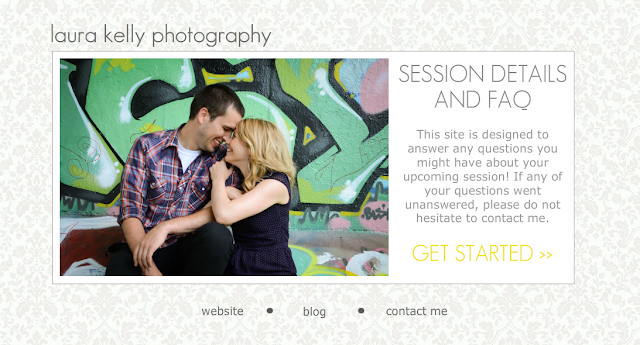 Laura Kelly Photography Blog :: Ottawa Wedding and Engagement Photographer: questions: answered. Creating an FAQ website always seemed like a daunting amount of work, because there was just too much information I wanted to relay! But with June being self-care month, and me finding the energy to be insanely productive, I finally sat down and did it. I answer the questions I get most often, like what do we wear? Where should the session take place? What do we do if it rains?! And also provide tid bits on keeping the kids and husbands happy while we're shooting. Hopefully this helps at least one of my dearly beloved clients :) If any of your questions went unanswered, please let me know because it might be something I can add to the site! 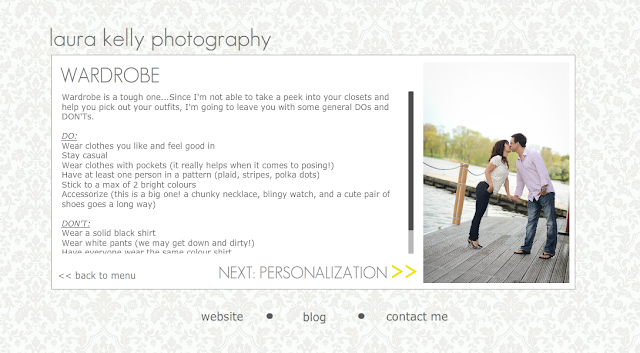 PS...I also made a website tailored for boudoir clients, but it's much too riské to link publicly! If you're a future boudoir client, hit me up with an email!